Creation an equestrian estate for breeding and rehabilitation for horses, based on the existing farm in lower Normandy. This equestrian estate will be the base for sport horses breeding , for raising young horses and the rehabilitation center for sport horses. Preparations for the project were made, a team was assembled, real estate was selected for the project, horses were collected for purchase, horses were partially prepared and sales. •	In order to increase sales, FLV dressage stables plans to enter the international market with a projected growth of 1-3% per year Our customers are private individuals, amateur athletes, professional athletes, children, disabled people. Individuals: men / women with an average age of 20-50 years and a monthly income of 3 000-10 000 euros who do not participate in sport but are horse owners. Individuals : men / women, whose average age is 18-60 years and a montly income 10 000-25 000 euros, professional athletes who tend to have a fairly large number of horses with the need of high quality service. Market analysis showed us that thanks to location, climate conditions and nutritional value of local feeds, the project has all chances to be successful. Climate conditions of Normandy, feeds, enriched with indium and plankton, allow us to present the highest standards of growing the young horses.As its well-known big sport it’s the highest pressure as for the horse as for the rider. That’s why in the period between the competitions horses need relax and rest. 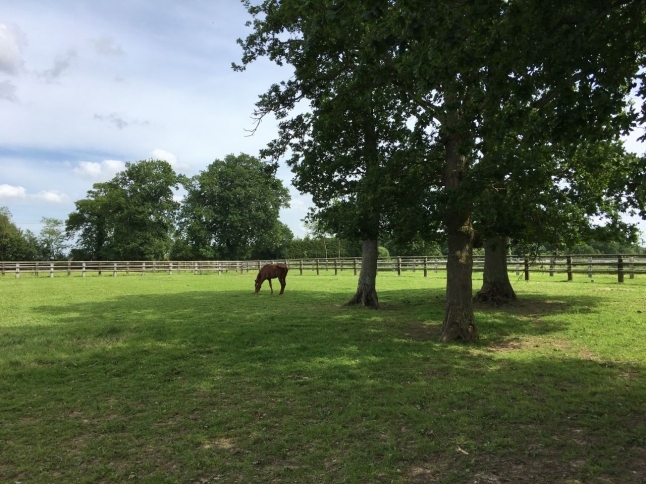 For sport horses who need long time rehabilitation or recovery after traumas, and also for horses who finished its sport career, the estate will become the place for rest and relax. Organization of such a program according to our estimates, is able to attract a sufficient number of customers. The company is promising in view of the following advantages: the avialabitity of qualified and experienced staff, careful planning of the business, offering a unique range of services that does not have an analogue. Business model is direct sales. The services offered by the company are clearly targeted at the target audience of customers. Taking care of which, we provide a high level of service and create maximum comfort for the most effective consumption. We will make every effort to achieve superiority of our services over competitive ones as well as to increase our share in exsisting and penetrate new markets. the centre is located in the heart of Europe, which provides transport acsess to the main potential customers. - high level of capitalization of investments.